Ottawa, Canada – February, 20th 2017 – Signority, the easiest and most secure electronic signature platform serving the small and medium-sized business (SMB) community — announced today, that it has integrated with the leading automated app integration platform, Zapier. Signority lets businesses to simply send, eSign, and securely manage documents with their end-to-end solution, allowing for a seamless end-experience for both users and businesses. The new Zapier integration makes it possible for customers to further automate processes and build workflows with just a few clicks, allowing businesses to save time and streamline operations — all without the need of a developer. “This Zapier integration will make it easier for our customers to automate their operations or automatically store copies of their important documents into third-party apps like Google Drive or Box. We believe this will help our customers avoid complicated processes that can be an unnecessary burden and cause a negative impact on corporate revenue.”, said Samer Forzley, CEO of Signority. >> Salesforce, Pipedrive and other CRMs: Add client information into your CRM of choice, on completion of a Signority form. 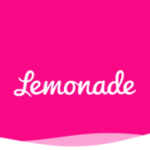 Also, automatically send contracts and other paperwork to your client once a sale is won. 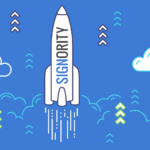 Following the recent announcement regarding their launch into the Chinese market, Signority is engaged in actively disrupting the electronic signature industry. The Signority – Zapier integration — aside from its obvious benefits — will help small and medium businesses out there automate their workflows and simplify day to day business operations. Signority Inc. is an Ottawa-based SaaS company that is dedicated to make it easy and secure for growing businesses to legally sign electronic documents. Their platform allows for the management of legal document workflows by offering a digital signature solution to easily access, verify, sign and certify documents from anywhere in the world, on any device.